The impact of America's media exports. This "religion of progress," as historian Christopher Lasch [in The True and Only Heaven (Norton, 1991)] calls it, saw scientific expertise as the key to the perfected future, not just in technology and medicine but also in human affairs, including politics. Yet this vision is an odd amalgam. Mainly, it is not scientific. Claiming the objectivity of science, it expects only positive outcomes. 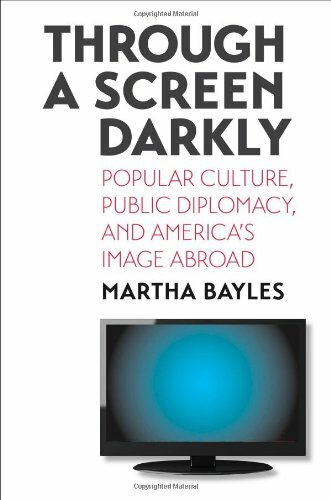 In researching her book, Bayles also went to distant but important sources, including Islamists, foreign media professionals, and diplomats across eleven countries, and she delivers the hard news: We are presenting ourselves very badly abroad—especially now that commercial products are filling in for any concerted information policy on our government's part; normal life here, including our cohesive and idealistic institutions, gets little coverage out there, and many foreigners call the trashy backwash of our popular media on their shores a threat to their traditions and social stability.